I was drawn to Donna's awesome CAS layout. Couldn't help myself, but to show off the PTI Framed Love Die again. This time I trimmed the inside and carefully filed it the corners with a nail file. Definitely giving the die look another option :) !!! Have a great day and I'll see you soon! So pretty Silke! 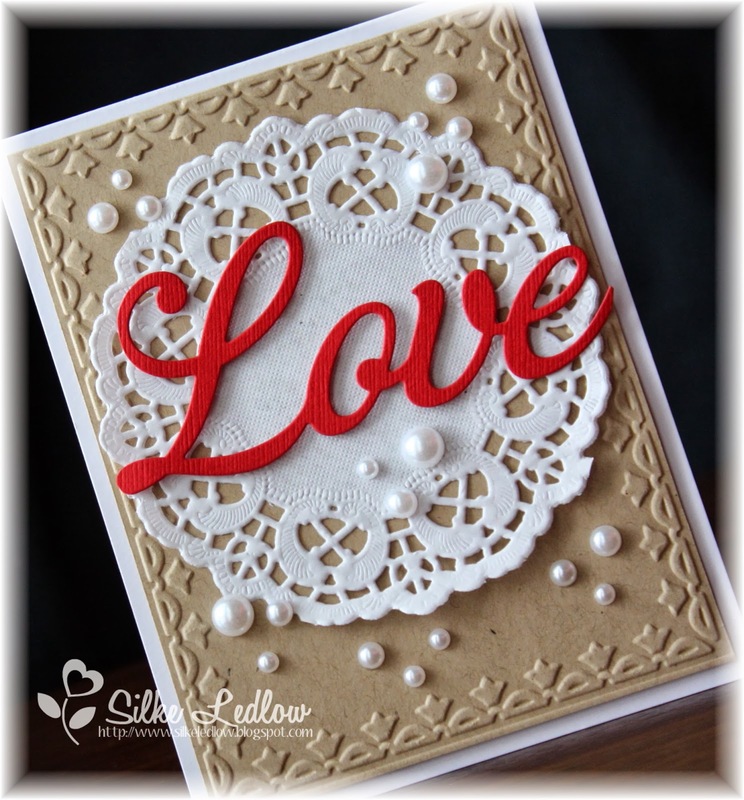 Love the embossed detail! How pretty Silke!! 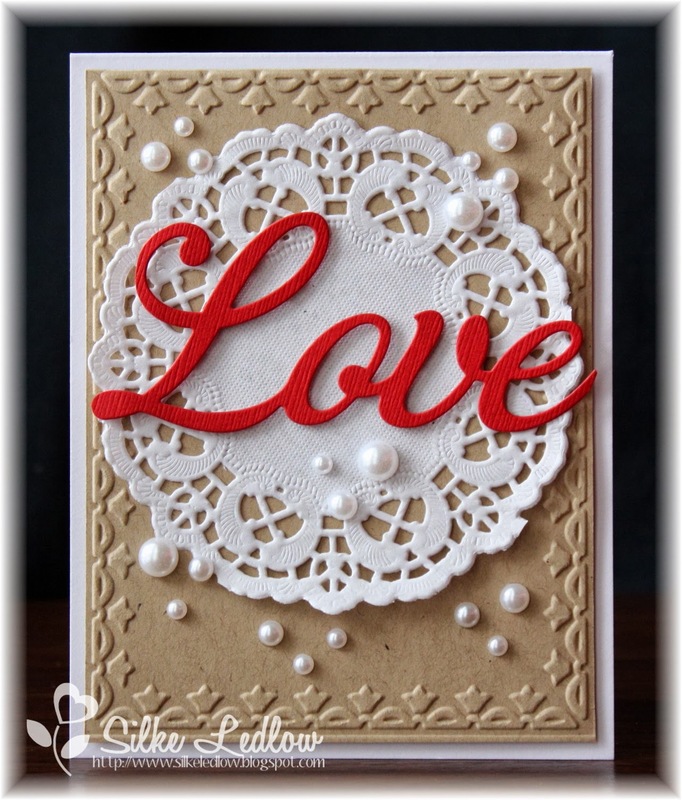 Love the scattered pearls!